Race, drive to survive, smash and crash all the cars! Yours and opponent's - doesn't matter as long as you can do maximum damage possible. Sounds fun? Try the Car Crash Simulator and see how you like making extreme destruction in exciting little car wreck wars. It's a game related to demolition derby and car war games yet quite unique by itself. It's something NOT recommend doing in real life, but hey - that's why games exist, right? Survival mode in which you're collecting coins for in game cash by racing around the level. Avoid AI cars as they're nearly indestructible. There's a 10 minute limit for this derby racing mode. Can you reach the limit? Tank Hunt mode - in which you're shooting down other cars with a tank. Awesome! Right? 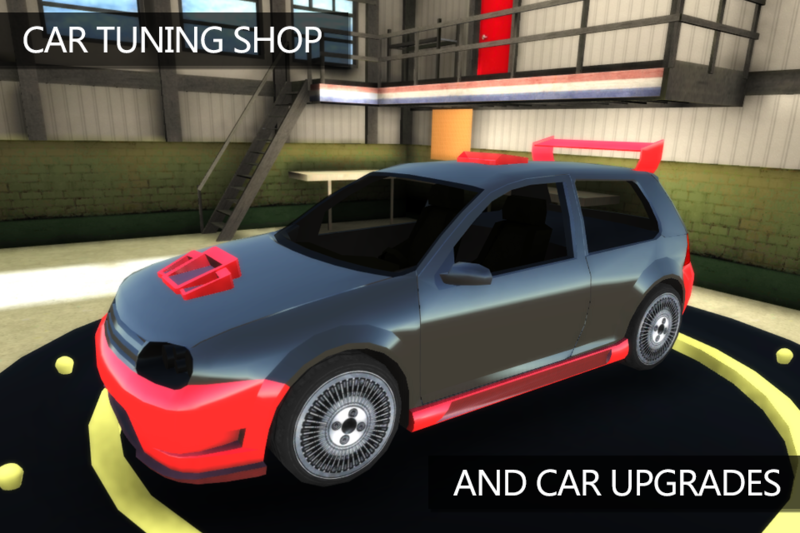 In this mode you're the indestructible one and since it's only for fun - you need to hunt down other cars and crash them. Enjoy the great demolition effects when you hit cars with a projectile. 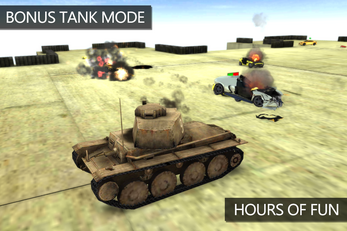 Cars can be run over or shot down with a powerful auto-aim turret gun. Also, 10 minute limit, so see how much can you crush during that time. Crash Arena mode is even more fun: it's you against up to 5 AI opponents at same time in a classic demolition derby racing battle. Who will survive in this extreme wreckage? This mode is total war! You can even set how many opponents you want to take at same time. I'd bet on you but we can never know ;) There's many ways you can outsmart AI opponents, but make no mistake - they are set to hunt you down and will not stop until demolished. 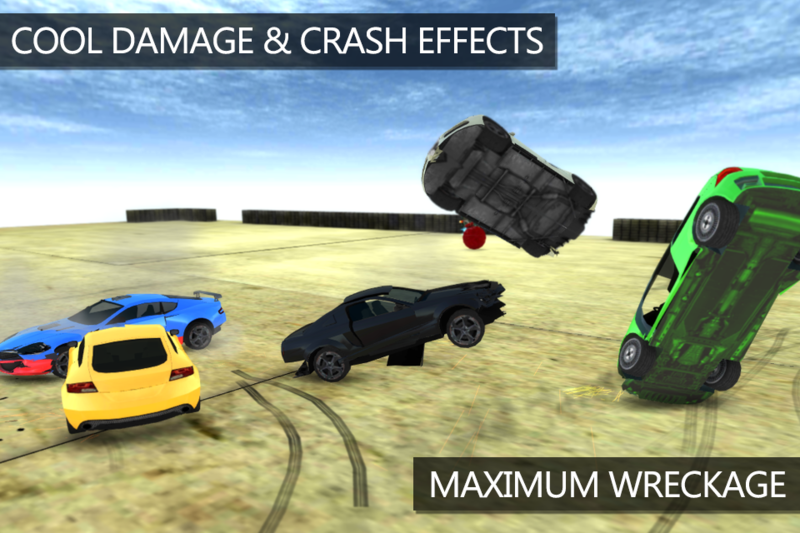 Car physics is realistic enough to ensure that simulation of crashes and destruction is done really nice - you can damage car slightly or a lot, and make its part fall off and fly around if you bump the car hard enough. Fun fun. All top scores in all destruction derby modes will be submitted to leaderboards automatically if you log into Google Play Games upon game start, of course, making it more fun to compete against other players. Who's the ultimate car crash warrior? You have 12 cars to play with and 6 maps to battle on, so enjoy demolition wars and good luck! Game is under constant development, so expect more in future.